Thank you so much for supporting our tiny, two-person company with your download maddirocks71- we really appreciate it! The dogs drew me in...the accurate weather report keeps me happy! 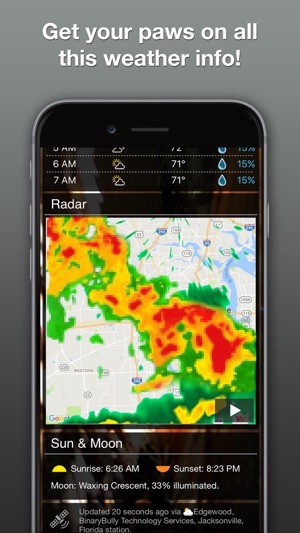 I got this app because I was frustrated with other weather sources online. Most weather sites will lump the city where I live with other nearby beach, inland and mountain areas into the same weather report. I would get frustrated when the forecast was contradictory, such as saying the high today would be 65 and the current temperature is 72. Go figure. So, I went looking for an App that would do better. 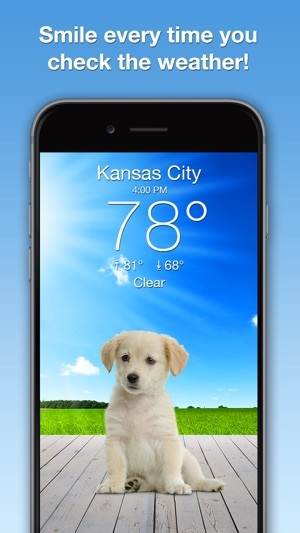 I happened upon Weather Puppy and gave it a try solely because I love dogs plus it had good ratings. The weather reporting is fantastic and accurate up to the minute. 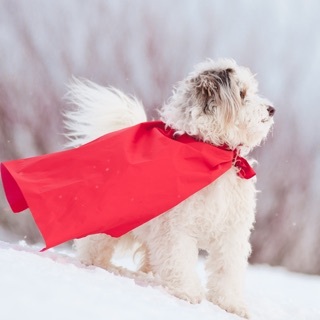 Weather Puppy gets their information from the nearest weather station and tells you which one and when they checked it (usually 30-60 seconds prior). They give an easy to read detailed report - hour-by hour and day-by-day. 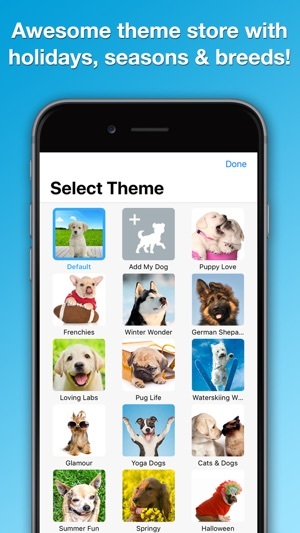 The dog theme makes checking the weather fun. Being able to use pics of my own dog is awesome. The dogs drew me in, and the accurate weather reporting keeps me happy! Let’s face it. 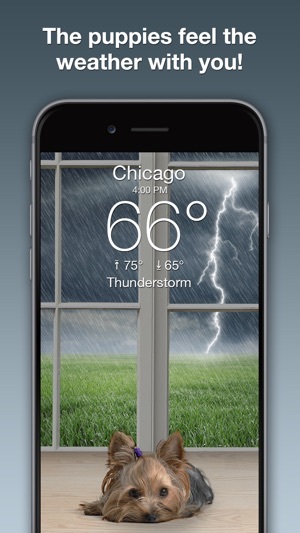 There’s only so much you can do to make a weather app put a smile on your face every day. But creators of this app managed it. They have the cutest pics of dogs—of all sizes and breeds. And they’re categorized—puppy love, glamorous, etc. 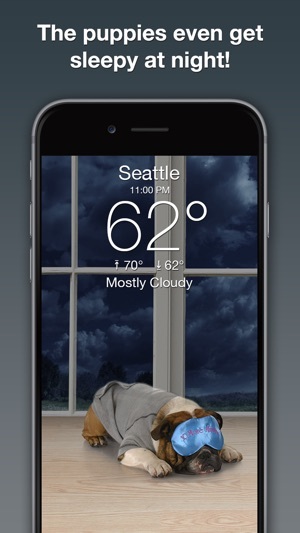 Every city you add to your weather provides a different dog pic. And the pics change every day. So thoughtful of them because they’re just so darned cute. Oh, and the weather information is good too. In fact, it’s better than many I’ve seen. Hour-by-hour predictions of temps and precipitation, for one. I wish there was a way to record actual measurements (for past hours that day), but I suppose that’s asking a lot. It would have been interesting for Minnesotans this winter when there was storm after storm for weeks. If I could make a suggestion, it would (because I’ve already paid to remove ads from this app) to add a category (or two or three) for cat pics. My first love is cats but I love dogs too. Get all the puppies for life.